Glutamine supplied by MyFitFuel™ is considered very pure with finest grade quality available in sports nutrition today. Glutamine is the most abundant amino acid in our body and is one of the most important building blocks in forming the protein that helps for recovery, growth and repair for muscle tissues. Glutamine is considered to be ‘must have’ supplement for those involved in intense training and exercise. Glutamine also plays very important role in improving the immune system and replenishment of glycogen stores of our body. This makes it a great choice for anyone involved in training for endurance performance, power, strength and lean muscle growth. Glutamine is semi-essential amino acid also known as l-glutamine. This means, glutamine is produced in our body but that is not enough our body and therefor a dietary source of glutamine is required. Glutamine is found in high levels in whey protein but is also naturally found in red meat and fish. Benefits of MFF™ Pure Glutamine? Glutamine has an ability to increase protein synthesis and reduce post workout recovery time. During our exercise our muscle tissue break and it is very important to repair those to help muscles become more stronger. Glutamine helps to reduce this muscle breakdown and quickly repairs those tissues which were broken during training. Immunity which plays a very important role for those involved in high intensity exercise. Good Immune system helps to fight against bacteria and viruses specially when your body is warm during or just after the exercise. Low immunity can make conditions worse for your body. So glutamine helps to make you immune system stronger and boosts recovery making your body stronger to fight against those virus or diseases. MyFitFuel serves you the best l-glutamine powder online in India. We not only maintain the quality but also the consistency in the quality of the glutamine. MFF Pure Glutamine is also available in unflavoured and orange flavor variants with different sizes such as 100gm, 200gm, 400gm. Certificate of Analysis- To bring better transparency we back our Pure Glutamine products by Certificate of analysis independently tested and used to manufacture our glutamine product. Everyone have different goals and different lifestyle. So whatever is your goal or lifestyle, we recommend consuming 1-3 servings of 5g on daily basis. You can divide this serving into morning (breakfast), Afternoon (lunch) and Dinner (1 hour before sleep). Glutamine is an Amino acid. Amino acids are the building blocks to protein and it is not just any amino acid but is the most abundant amino acids in our body (Highly concentrated in our muscles). 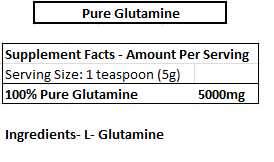 Glutamine being key amino acid is categorised to be essential amino acid. But we recognise it as semi-essential amino acid because our body makes it but that’s not enough as per the required needs of our body. 2). What are the differences between essential and non-essential amino acids? There almost in excess of 20 amino acids that makes up a all the complete proteins in the body. Among these 20, between 9 to 12 are those which are naturally produced by our body, known to be as Non- Essential Amino Acids. Rest of them known to be Essential Amino Acids are not produced naturally by the body therefore additional source in the form of dietary supplement needs to be taken to complete the body requirements. 3). What are the main benefits to use Glutamine? There are many benefits of using Glutamine, If you are into fitness after reading the below benefits you will find how important is glutamine for you. --> Support electrolyte levels such sodium, potassium etc. 4). What is the right time to take MFF™ Pure Glutamine? 5). Can I take MFF™ Pure Glutamine with any other nutritional supplement? Yes, you can take it with any other nutrition supplement such as MFF™ Whey Protein. 6). How does Glutamine tastes? Glutamine has no taste in itself. Whether you mix glutamine in any protein shake or juice it does not provide any additional taste. But if it’s taken on its own then it can give you a slight bitter taste. So, we recommend you to mix it with any protein shake or juice. 7). Are there any specific health benefits associated with Glutamine? Yes, different studies on glutamine have shown that it helps to boost the immune system of our body helps to fight better against infections. Glutamine also helps to promote healing. 8). How is MFF™ Pure Glutamine different? Better is the quality of product, better will be its overall results. We always recommend you to read the ingredients and nutritional information on label of the product first to understand what you are buying and what is the value you are getting against the cost you pay. In My Fit Fuel™ we are committed to bring you the quality and transparency in our products which will help you to get better satisfaction and results. 9). Is glutamine suitable for vegetarians? Yes, it is suitable for vegetarians. 10). Is Glutamine a safe supplement? Yes. Glutamine is the most abundant amino acid in our body and is also found in natural food source like dairy, fish and meat. We all live with a great deal of glutamine already in our system. Glutamine does not play with the hormone levels in our body. As long as you consume within recommended dosage, there should not be any negative side effects of consuming glutamine. 11). Who should take benefits from using glutamine? 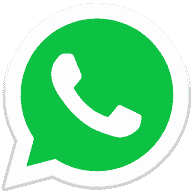 Bodybuilders and Different athletes (Strength athletes, endurance athletes), people involved in weight training or team sports. Also anyone involved in high intense training or exercise can consume glutamine. Nice Packaging and Fast Delivery. Product is also good. Fast delivery line setup by MyFitFuel company. Product is in nice condition. Packaging is good and Product looks Genuine. 5g Scoop provided which is good by them. I'm using this glutamine, its very good product like Muscletech Platinum Glutamine. 99% soluble and effective. I hope MFF always maintain their quality in future also.